A Sunnyvale resident on Saturday dropped off ammunition and grenades in the Department of Public Safety's lobby, prompting the evacuation of the building. Marianne Favro reports. A Sunnyvale resident on Saturday dropped off ammunition and grenades in the Department of Public Safety's lobby, prompting the evacuation of the building. The department is headquartered at 700 All America Way, which was closed around 12:30 p.m., officials said in a Nixle alert. A bomb squad from the Santa Clara County Sheriff's Office headed to the scene. People were urged to stay away. 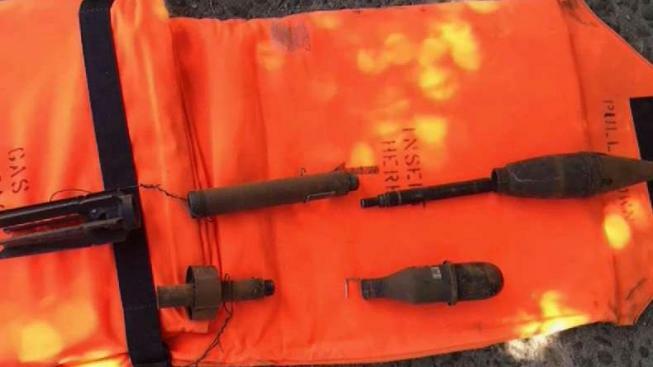 Officials took to Twitter around 2:40 p.m. with a picture of the "inert explosives," which had been disassembled. "Everyone is safe," they wrote. The building was reopened just before 3 p.m. once the crisis had been averted. The department encouraged people avoid touching or transporting explosive devices. Instead, call 911. Emergency mitigated, headquarters now open.